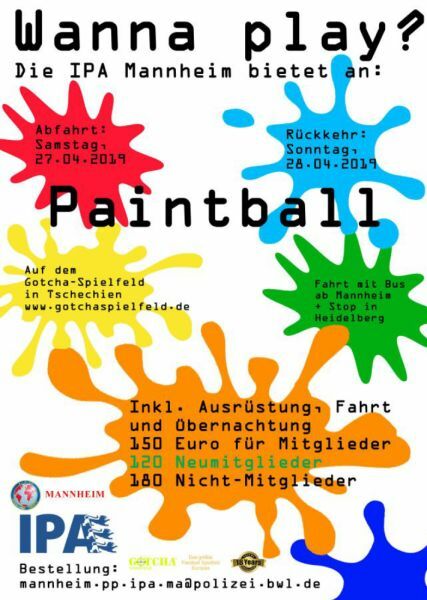 IPA Mannheim - Wanna Play Paintball? 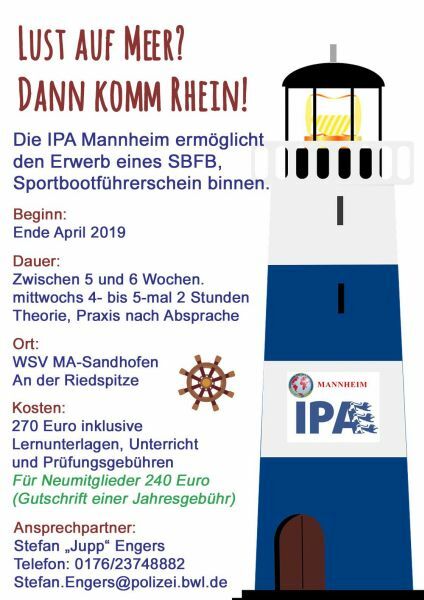 die IPA Mannheim lädt herzlich zum Besuch des "Wanna Play Paintball?" im Gotscha-Spielfeld in Tschechien mit den gleichen Vorteile wie unseren Mitgliedern ein. We are writing in the hope that you will get this bulletin out to all your police contacts and help us with promoting our tournament. 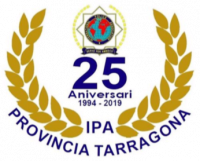 Next year, from the 2nd to 5th May 2019, Tarragona IPA will be organising the 16th edition of the International 7-a-side Football Championships for Police. This year's Championship will be held in Tarragona itself and will coincide with the 25th anniversary of the founding of our branch of the IPA. As always, we would advise you to book early as the maximum number of teams we can host is 20. We are enclosing a document with all information pertaining to the Championship. Should you have any questions then do not hesitate to contact us.